Our 10cm Silver Polka Dot Bauble will add some light-hearted cheer to your Christmas Decorations this festive season. Each bauble has a decorative silver top for holding a hook or thread. The light silver bauble has two wide silver glitter stripes on the top and bottom and silver polka dots around the middle of the bauble. 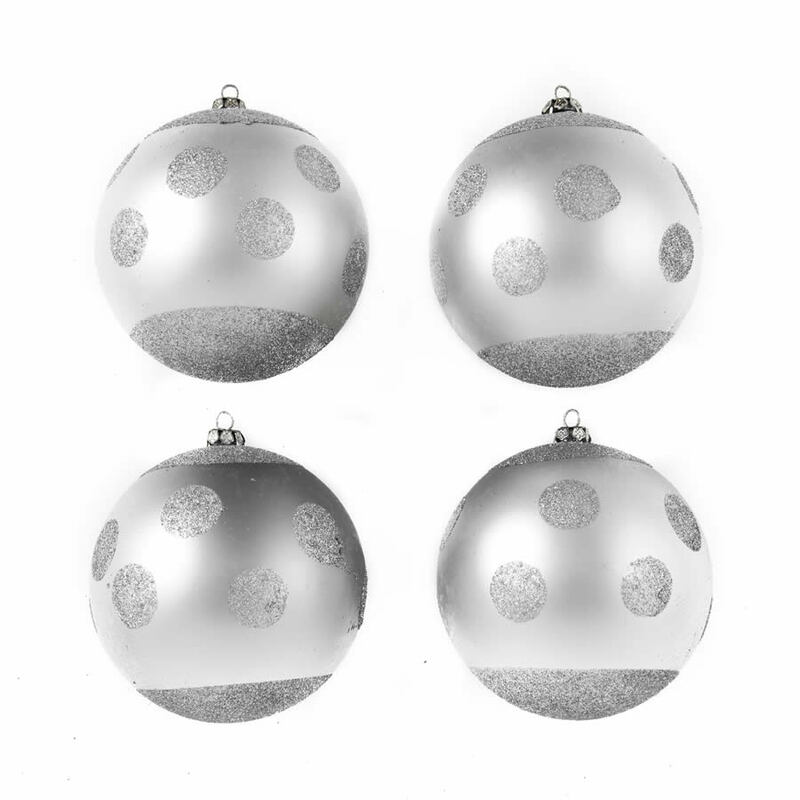 The Silver Polka Dot Baubles come in 4 packs, making them perfect for accenting on your Christmas tree. 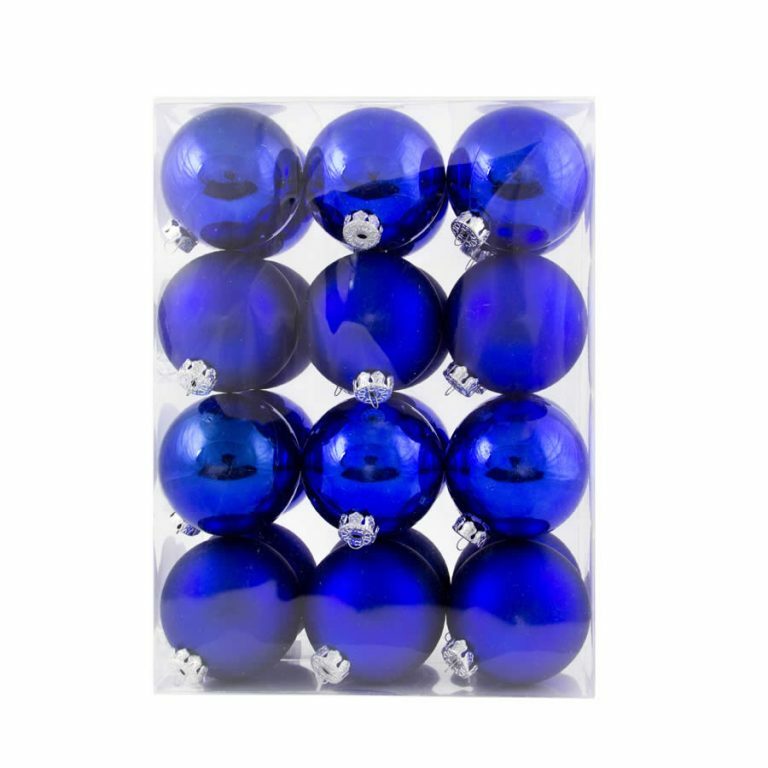 Try scattering the Silver Polka Dot Bauble throughout a tree dressed with our 25 pack Lime baubles for a modern twist on Christmas colour schemes. All Christmas Kingdom baubles are shatterproof so you can enjoy your holiday without fear of breakage or injury from glass baubles.